The half marathon is rapidly becoming the distance of choice for many runners both domestic and international. 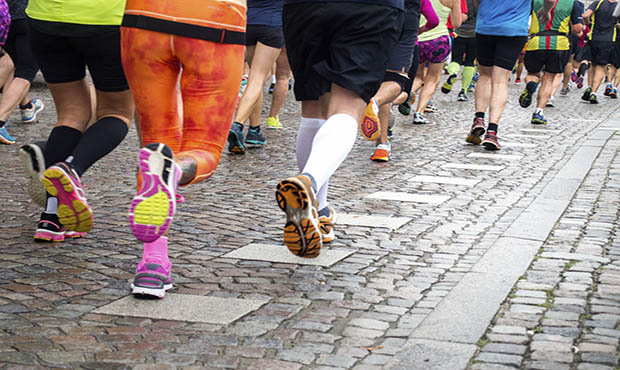 From Washington to Florida and across the globe, the 13.1-mile event is flourishing in popularity, with new half marathons popping up at a rate only second to the 5K. A frequently discussed topic in coaching circles is how to most effectively race this distance. During the first American “running boom,” the most common approach to half marathon racing was to treat it similarly to a 10K, with a “just hang in there” attitude during the second half of the race. This Darwinian approach yielded its fair share of late race implosions. As another running boom has emerged, coaches and athletes alike are taking a page from the marathon playbook in how best to execute a half: negative splits. Negative splitting a race simply means covering each mile (or another unit of distance) faster than the last and it is an effective race strategy both physiologically and psychologically. Executing a negative split can and should be practiced with a handful of specific workouts in the weeks and months leading up to race day. Progression runs are runs that begin slow and finish at a fast pace, picking up the tempo little by little throughout the run. Progression runs teach athletes to naturally expect the second half of the effort to be harder rather than the "hanging on" approach. Two to three times in the final six to seven weeks before your half, plan progression runs that are six to 10 miles. On these runs, tackle your opening one or two miles at a pace that is 45 to 55 seconds per mile slower than your goal half marathon pace. The final one or two miles should then be at your intended goal pace—or even a touch quicker, if you’re feeling good.